A decision to give an ammonia attack on a police officer an urgent, rather than emergency, ambulance response has been criticised by the police federation. 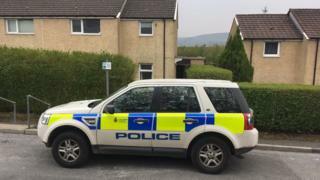 A sergeant suffered serious injuries in an attack in Darwen on Tuesday. North West Ambulance Service (NWAS) gave the response category three status, which means paramedics are expected to arrive within two hours. Lancashire Police Federation (LPF) said it should have been "at least" category two, which aims for a quicker response. An NWAS spokesman said the service was "looking into this incident to see if any learning can be obtained and the results will be shared with Lancashire Constabulary". Seven officers were sprayed with ammonia after forcing their way into a home on Ash Grove at about 02:00 BST on Tuesday. The sergeant was driven to hospital by colleagues after being told of the possible wait and was treated for serious injuries to his eyes, throat and lungs before being released. Lancashire Constabulary said he would undergo an operation on his eyes in the coming days. LPF chairwoman Rachel Baines said the call officers made for medical help should have been given a higher priority. "You would like to think if that happened to anybody, regardless of whether they were a police officer, they would at least get a category two response, especially as it wasn't known what the substance was at that point," she said. NWAS has four response categories, each aiming for a specific response time. According to the trust's website, the service aims to respond to category two calls, which are designated as "emergency", within 40 minutes, while category three, marked as "urgent", means paramedics should be on the scene within two hours. A 46-year old man from Darwen, who was arrested on suspicion of wounding, remains in custody.